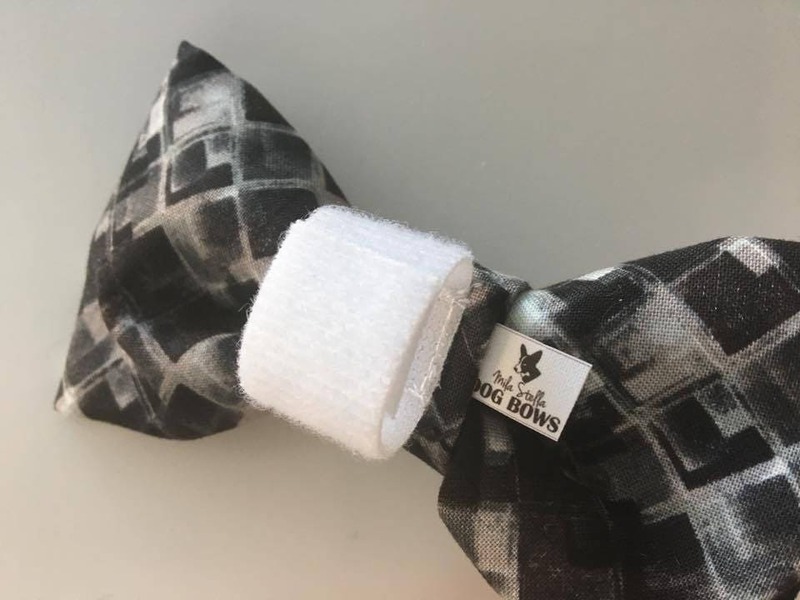 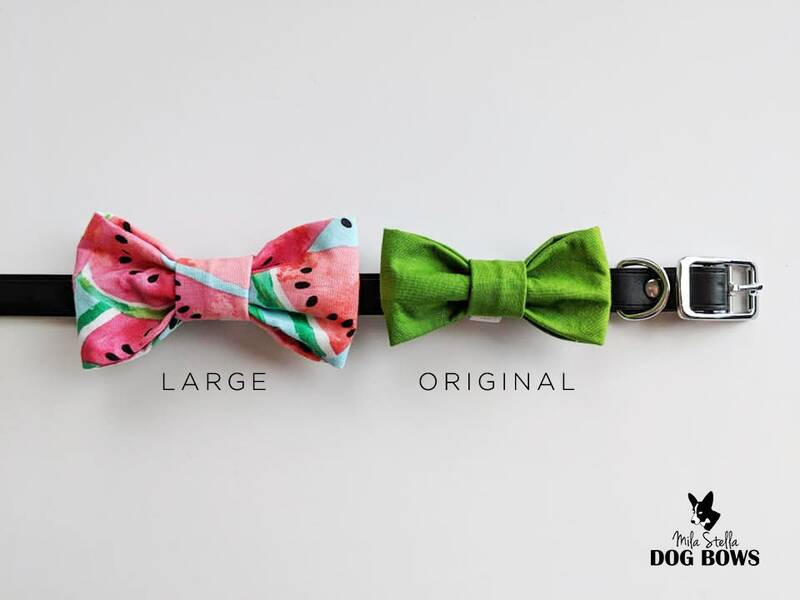 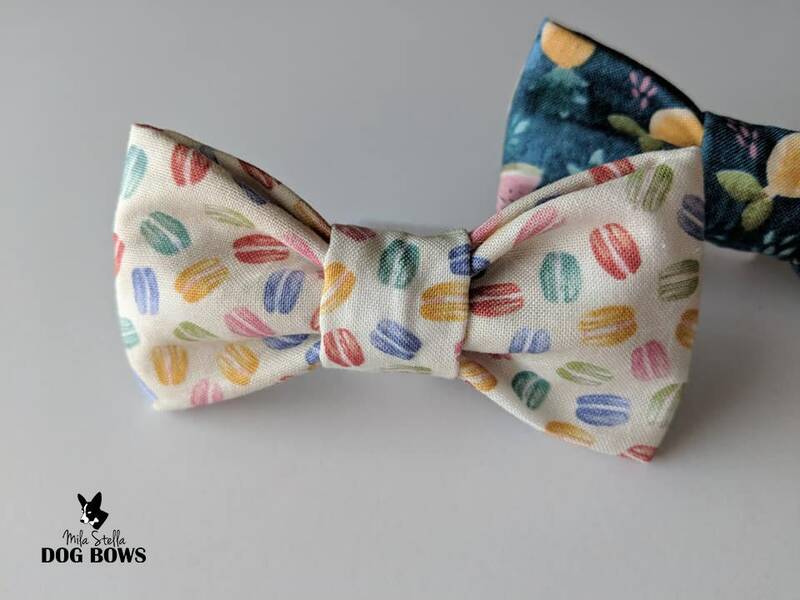 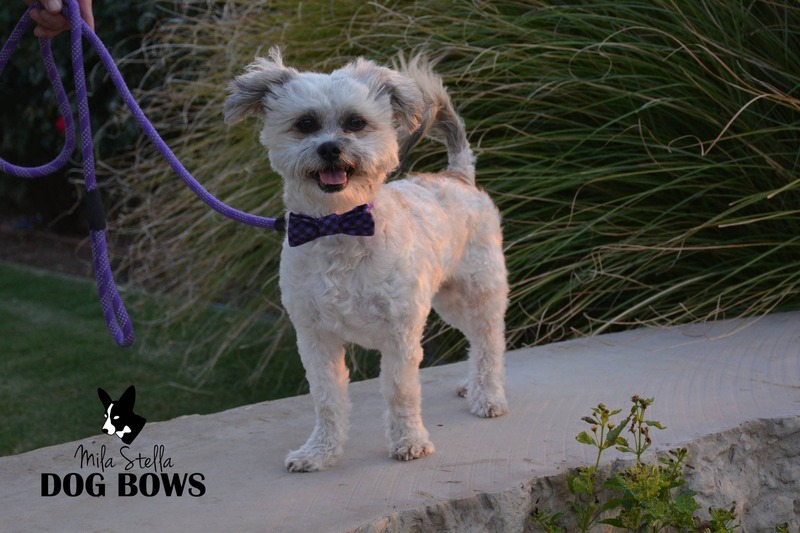 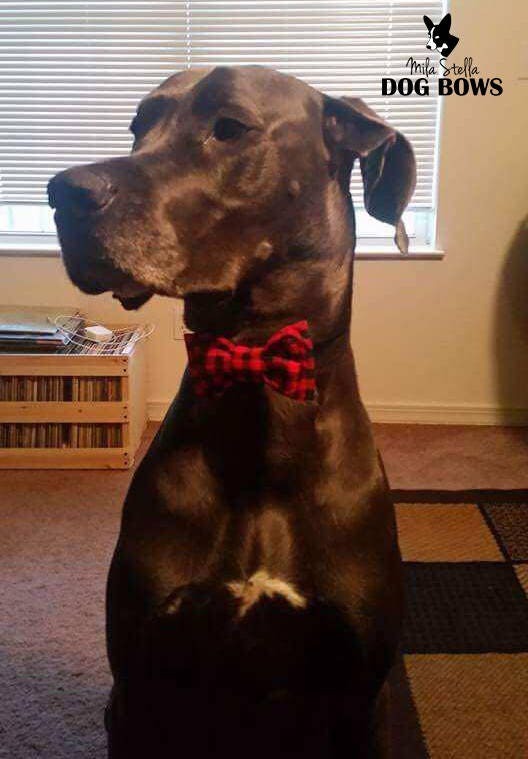 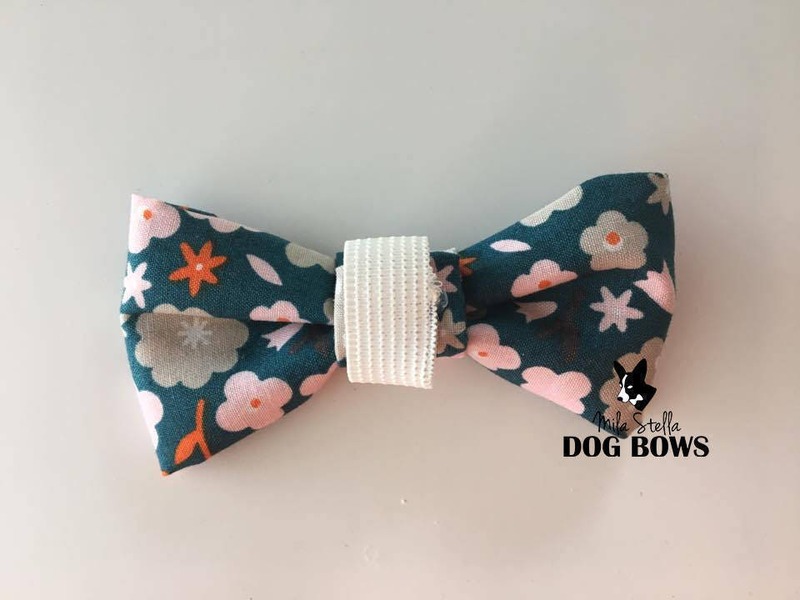 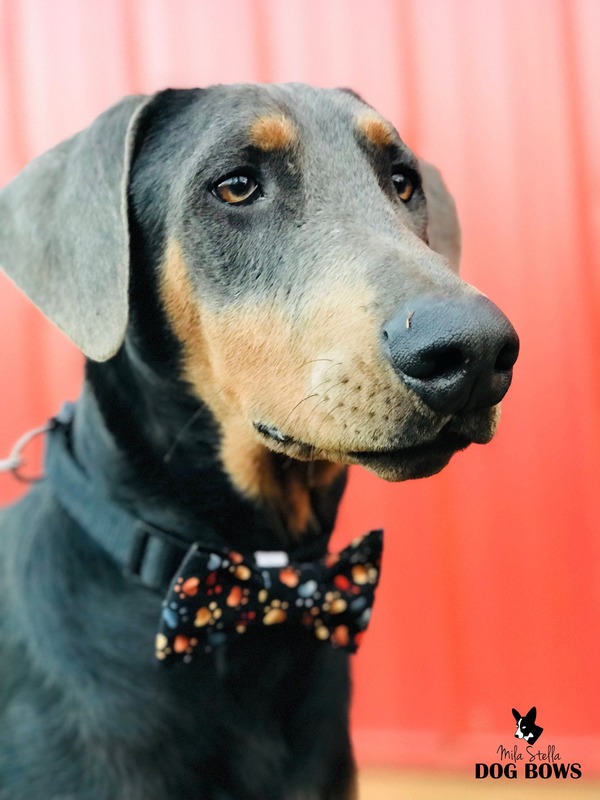 A stylish bow tie with deliciously scattered macaroons for your pup! 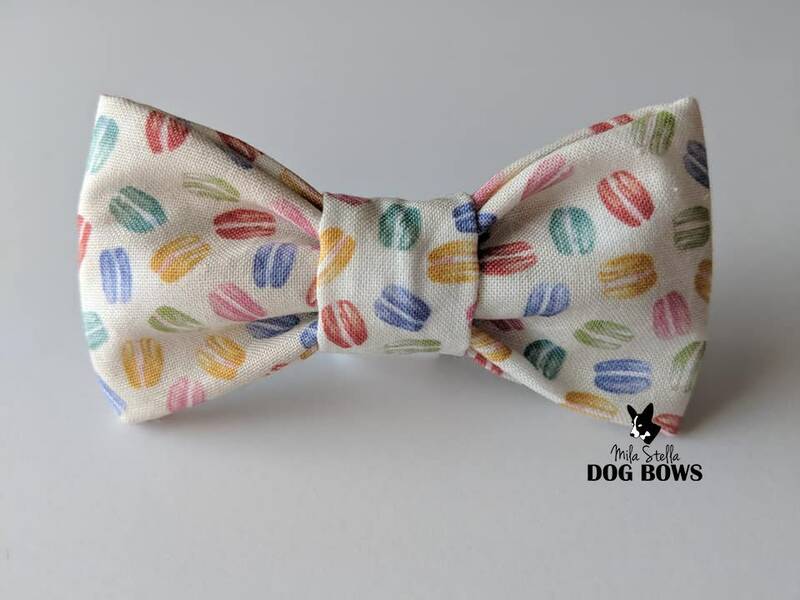 Pink, blue, yellow, and green macaroons make this a keeper for every dog! 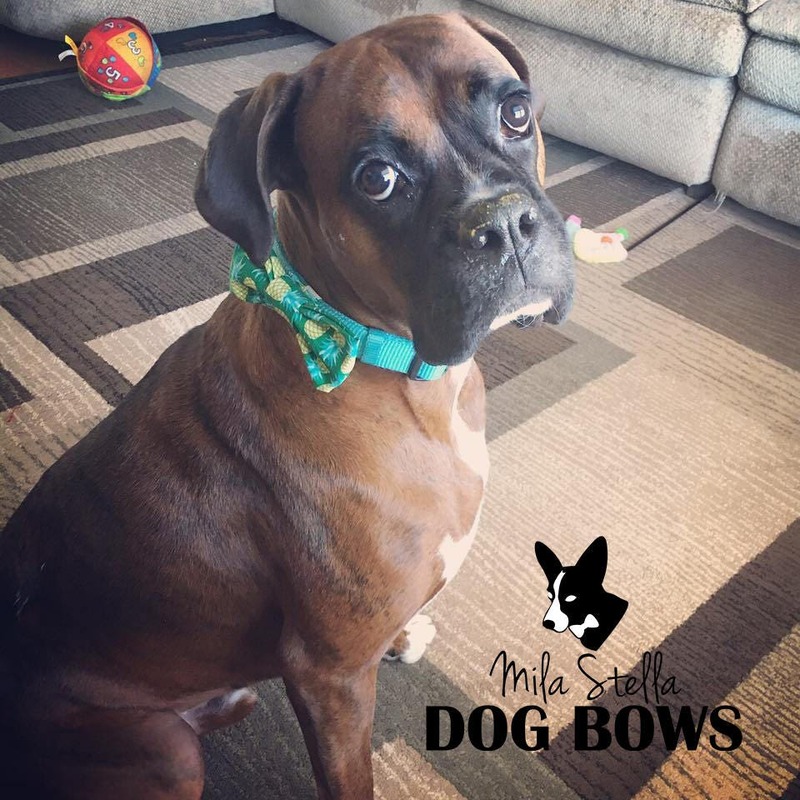 A soft flexible hook and loop is used with only the soft side against your pup's neck.